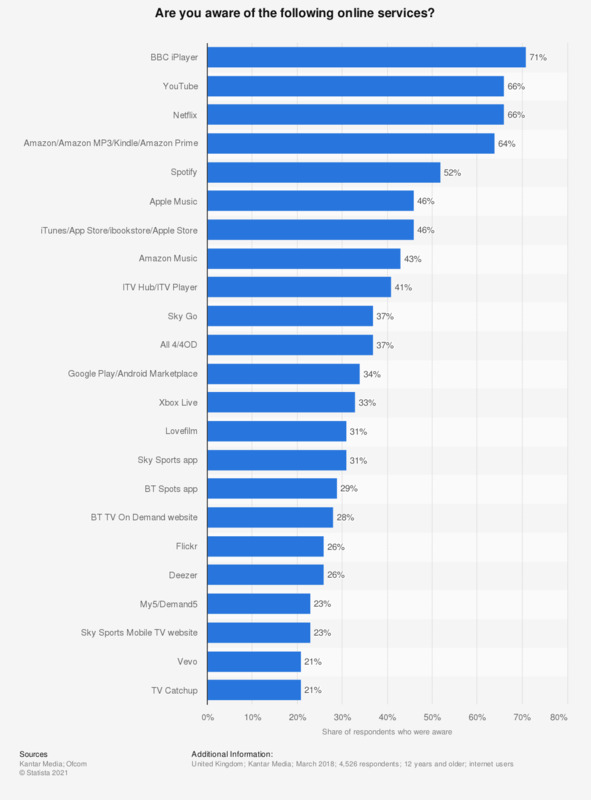 The statistic presents data on the awareness of digital content services in the United Kingdom (UK) as of March 2018. During the survey, 52 percent of respondents stated they knew the music service Spotify, 23 percent of respondents were aware of the Sky Sports Mobile TV website service. Online (CAWI) and face-to-face surveys were used. For the following types of content, how would you most prefer to purchase it on your wireless tablet?